Little Axe is the stage name of Skip McDonald (born Bernard Alexander, 1949, Dayton, Ohio) an American musician. McDonald played jazz, doo-wop, and gospel when young, and relocated to New York City as a teenager with his band of friends, called The Entertainers. Axe joined the group Wood Brass & Steel in 1973 with bass guitarist Doug Wimbish and drummer Harold Sargent. The group recorded two albums before their 1979 breakup. Axe then became one of the members of the house band for Sugarhill Records and appeared as a session player on many early rap albums, one of which was The Message by Grandmaster Flash and The Furious Five. After leaving Sugarhill, McDonald, Wimbish, and drummer Keith LeBlanc began working with Adrian Sherwood, and eventually formed the trio into the group Tackhead, initially fronted by Gary Clail, but later, vocalist Bernard Fowler. It was not until the 1990s, McDonald assumed the moniker "Little Axe" as he began moving from a hip hop sound to music drawing from an array of musical influences. Blending genres including such diverse musical influences as R&B, gospel, Dub music, and jazz has led some music reviewers to describe his overall sound as that of World music. However, it was the sound of the blues that is most woven throughout his music since the early 1990s. 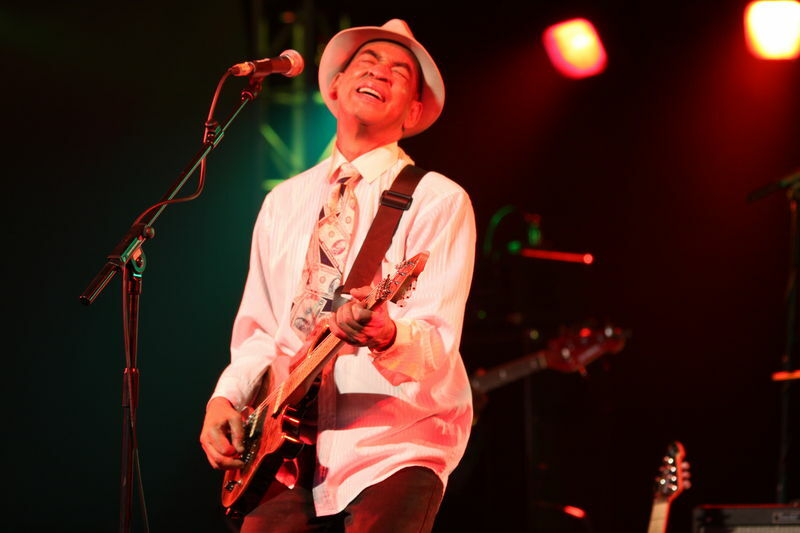 He has been working steadily as a studio musician, recording both his own blues albums, continuing to appear as a guest act on other artists' albums as well. Recent albums have been released on Real World Records. Alan Glen is featured on harmonica on the albums. In 2009 he collaborated with Mauritanian musician Daby Touré to produce a record titled Call My Name. Upon their entry into the On-U Sound fold, the group formed a production team: "Programming was coming in heavily and the studio work was falling off. That kinda pushed us into writing and recording, and putting out these little obscure records. 'Stormy Weather' under the name Fats Comet was our first project. We recorded as Dub Syndicate, African Head Charge, Barmy Army, then Tackhead, the Strange Parcels and now Little Axe." The "Hard Grind" album In 2002, after several years of on-and-off work and convoluted attempts to gain major label backing, Skip's third Little Axe album "Hard Grind" (ON-U CD 1001) became the first release for four years on Sherwood's revived and re-launched On-U Sound label with a mixture of raw blues and reggae, and guest appearances by Ghetto Priest and Bim Sherman. The album takes pleasurable, unexpected twists and turns as it takes the listener on a haunting and spiritual journey of blues history with a mystical and lingering blend of synthetic and organic instrumentation. The recording commences with a read of Blind Willie Johnsons "Dark As The Night Cold Is the Ground", where the legendary blues pioneer speaks of the blues. On "All Night Party", the late Junior Kimbroughs voice is mixed with absent friends, preachers and black historians with harmonica fills provided by Alan Glen. While "Hard Grind" will no doubt will also draw comparisons to Moby's "Play", it was Skip who pioneered the fusion of Blues and Electronic music with Little Axe. Moreover, he understands the Blues as he has actually played it. Skip McDonald's prolific involvement in On-U Sound productions for many years means it is hard to imagine the label without him. That said, there will surely be plenty more to be heard. 2005 saw Little Axe opening on the West Coast leg of the American Tour of Robert Plant.